The Design from Finland mark recognized Frenn Company Oy, the Helsinki-based producer of FRENN clothing for men, with the Design Deed of the Year award today at the Habitare expo. The criteria for the award are originality, corporate responsibility, and design as a part of everyday life. The menswear line FRENN, launched by Antti Laitinen and Jarkko Kallio in Helsinki in 2013, believes in a style of dressing that is free from norms and in clothes that can be worn both for work and for leisure. The company’s design work begins with an eye for durability, natural fit, interesting details, quality as well as environmentally responsible European materials. FRENN clothing is produced regionally in Estonia under inspected conditions. Frenn Company Oy’s products have been granted the Association for Finnish Work’s Design from Finland mark, and now the company has received the coveted Design Deed of the Year award. FRENN has worked hard to expand its production domestically and has made moves towards international sales. FRENN’s sales increased 60% in 2016, and the company is preparing for a funding round in order to expand its operations and work toward its next phase of business development. FRENN’s Fall 2018 collection will be presented next January in Florence at Pitti Uomo, the world’s most important menswear trade event. The jury praised FRENN for the sustained and customer-focused development of its business concept. “From the business concept to the products and product mix, right through to communications, FRENN’s design forms a cohesive and high-quality whole. While the brand was intended to be international from the beginning, it is also firmly rooted in modern Finland. The company uses Finnish identity as an asset that propels the brand,” according to jury member Arni Aromaa. 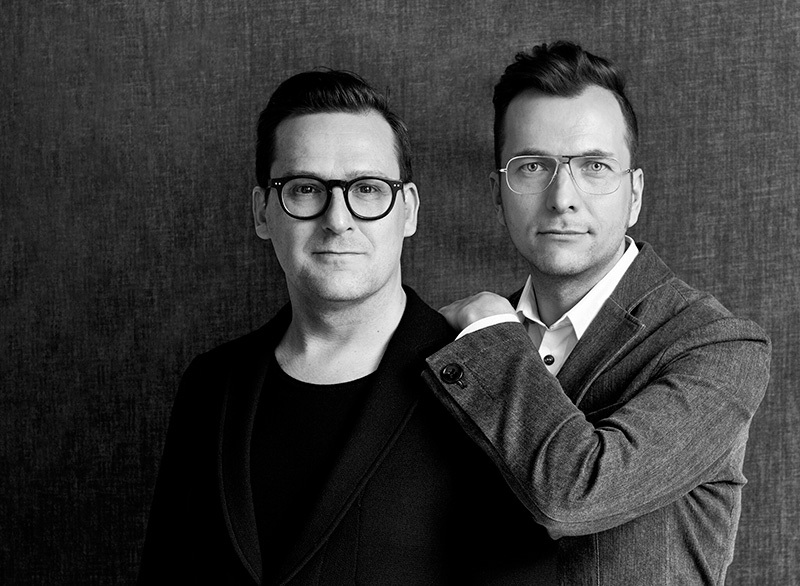 Frenn Company Oy’s founders Antti Laitinen and Jarkko Kallio have over twenty years’ experience in the Finnish textile and clothing industry, earning their stripes in major Finnish textile and design firms. “The Design Deed of the Year award is a wonderful acknowledgement of Antti’s distinctive design and the deliberate development of a new clothing brand. Four years ago, we boldly set out to reinvent Finnish menswear, and our hard work is paying off. Our sales network continues to expand in Finland and abroad. The award is especially valuable in supporting the company’s development and internationalization at this juncture, as we’re currently seeking new investors to accelerate our growth,” FRENN’s CEO Jarkko Kallio says. FRENN is the sixth recipient of the Design Deed of the Year award. The award has previously recognized Beibamboo Oy (2012), which designs and produces bamboo baby clothes, VM-Carpet (2013), which produces high-quality and innovative carpets, Droplet Hitech Design Oy (2014), which produces Lastu wooden mobile device cases, Useful Stuff Oy (2015), which produces Drop design pools, and Hakola Huonekalu Oy (2016), which produces furniture and interior decorating products. The award’s jury consisted of Industry Advisor Kari Kallonen, member of the Design from Finland committee; Arni Aromaa, founding member and creative director of Pentagon Design; and Tero Lausala, managing director of the Association for Finnish Work. Products available in Finland in Sokos department stores in Helsinki, Tampere, and Oulu, as well as in boutiques in Kuopio, Vaasa, Jyväskylä, Kokkola, and Rovaniemi. The Design from Finland mark indicates the origin of unique Finnish design and emphasizes the importance of intangible work for Finland’s success and employment. More than 440 Design from Finland marks have been granted to date.